When you have a clogged drain, you need quick and effective drain cleaning. Not all plumbing companies are equipped to handle drain and sewer clogs. You need a drain cleaning company in Laguna Hills, CA, that has the most advanced equipment and highly-trained plumbers. The advantages of hiring a great drain cleaning company are innumerable, but for time’s sake we’ll highlight three of the best benefits of hiring quality professionals. Put away your plunger. Throw away that liquid drain cleaner. Instead, call a drain cleaning plumber. These plumbers are trained to use the latest plumbing technology to pinpoint the exact location of clogs and completely clean your pipes. Using a drain inspection camera and the hydro jet drain cleaning tool, blockages are cleared in record time and stay away longer. Drain cleaning isn’t a mystery, yet many homeowners are baffled when they keep get recurrent clogs. Many times this happens because the original clog wasn’t completely taken care of. It may also be user error. A lot of people simply put the wrong things down their drains. While a drain cleaning company can’t make you stop pouring grease down the kitchen sink or flushing things other than toilet tissue, they will get your pipes as clear as the day they were first installed. After that, it’s up to you! Do you own an older home? Homes that are 40 years are older may have piping that is starting to show its age. It may develop cracks or deteriorate. When a clog is present in the pipe, this creates added pressure and can hurry along the aging process. Regular drain cleaning can prevent water pipe repair and extend the life of your plumbing system. If you live in the area, give Laguna Hills Swift Plumbing a call today. 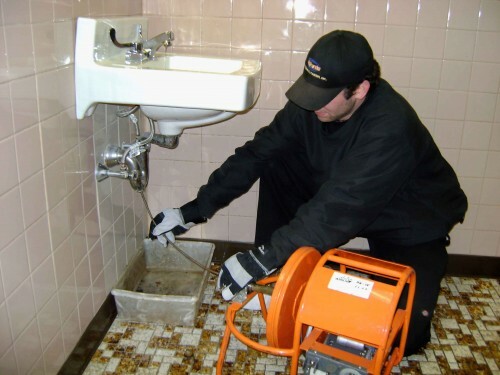 Find out for yourself why we are the preferred drain cleaning company in Laguna Hills, CA. At Laguna Hills Swift Plumbing we’re not saying you have to bow to the sewer Gods, but you have to admit it’s one of the areas of your home where you hope and pray for the best. A burst water main or clogged pipes are one thing, but when you’re talking about human waste, gray water, and other issues requiring sewer line repair there are some real significant aftereffects to consider. It’s one of the many reasons we recommend our Laguna Hills area customers call us at the first sign of sewer line issues. Since your sewer line runs from your home out to a septic line or a city main, any cracks or leaks could lead to waste bubbling up on your lawn. Exposure to harmful bacteria can be toxic and the contents could actually infiltrate your drinking water – not a good situation. This is why early sewer line repair as well as preventative measures such as maintenance and inspection are so important. If your sewer line is clogged that waste will eventually backflow into your home. Never mind the odors associated with a sewage backup, there are health risks as well which is why cleaning is not an effective option. Most often homeowners are forced to remove and replace everything that has come in contact with the sewage backup including flooring, ceiling, walls, personal effects and more. 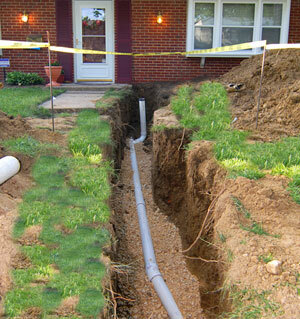 There is more than just the exposure of a backed up sewer line to deal with. When any water line is leaking for an extended period of time it compromises the soil around it. In this instance the soil around your foundation starts to shift and in turn your home follows suit. Drywall cracks, flooring buckles, windows and doors no longer open, and overall your life becomes miserable. Don’t leave it to chance, give Laguna Hills Swift Plumbing a call at the first sign of sewage line issues or for an inspection to make sure none of these problems are present. Due to the rising cost of utilities as well as the increased concern that traditional water heaters are environmentally incompatible, many households are opting to replace these appliances with new, tankless water heaters. At Laguna Hills Swift Plumbing, we help homeowners make the transition to this new way of heating the water in their homes. If your electric or gas bill is higher than you would like, switching out your old water heater for a tankless water heater may be the solution. Traditional water heaters continuously heat the water in the tank whether the tank is in operation or not. This is a waste of energy that shows up in the form of extra dollars on your monthly utility bill. 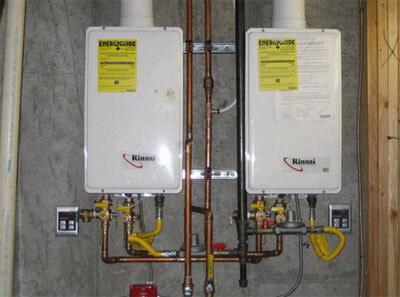 Tankless water heaters heat the water on demand. When you turn on the faucet to your kitchen sink or you turn on the shower, the tankless water begins to heat the water. Most homeowners find that there is very little difference in how long it takes for the water to heat up when comparing the two types of heaters. One of the reasons that homeowners may be hesitant about installing one of these systems is the fact that the initial costs are rather high. When compared to traditional water heaters, tankless water heaters are quite a bit more expensive. However, what homeowners need to consider is how much a tankless heater will save them years down the line. The amount of energy used to heat the water in a tankless system is minimal compared to traditional water heaters. Therefore, it is reasonable to expect that a tankless system could pay for itself over the course of several years. Homeowners that are interested in a tankless system, but are not sure they have the money to make such a large initial investment may want to consider contacting their local plumbing supply company. Sometimes these companies can offer special financing offers making it affordable to install a tankless system. Special tax credits can also help defray the costs of purchasing a tankless system. Who Uses a Tankless Water Heater? All types of households, even businesses, use these systems. They are ideal for large families that use a larger than average amount of hot water each month. Businesses like fitness centers, health clubs, and even medical facilities that use hot water on a frequent basis can benefit from tankless water heaters. In addition to these businesses, landlords that operate multi-unit complexes may want to consider converting their units to run on a tankless system. This can reduce costs for both the landlord and their tenants. Installing one of these systems does require plumbing expertise. Homeowners or business owners that attempt to tackle the installation themselves risk damaging the equipment and voiding any warranties attached to the system. The knowledgeable and licensed plumbers at Laguna Hills Swift Plumbing are ready to help you properly install a tankless water heater so that warranties are preserved and the users can enjoy the economic benefits of the heaters as soon as possible.